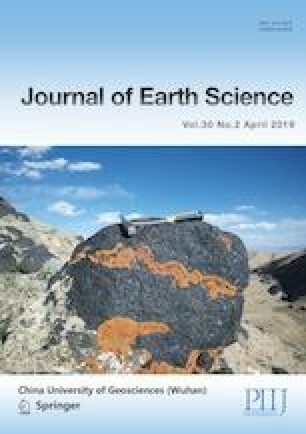 In this study, biomarkers, together with stable carbon (δ13C) and hydrogen (δD) isotopic compositions of n-alkanes have been examined in a suite of condensates collected from the East China Sea Shelf Basin (ECSSB) in order to delineate their source organic matter input, depositional conditions and evaluate their thermal maturity. Previously, GC-MS analyses have shown that all the condensates are formed in oxidizing environment with terrestrial plants as their main source input. No significant differences were apparent for biomarker parameters, likely due to the low biomarker content and high maturity of these condensates. Conventional GC-MS analysis however, may provides limited information on the sources and thermal maturity of complex mixtures due to insufficient component resolution. In the current study, we used comprehensive two-dimensional gas chromatography with time-of-flight mass spectrometry (GC×GC-TOFMS) to increase the chromatographic resolution. Compounds such as alkyl cyclohexanes, alkyl cyclopentanes and diamondoids, which can be difficult to identify using conventional GC-MS analysis, were successfully identified using GC×GC-TOFMS. From our analyses we propose two possibly unreported indicators, including one maturity indicator (C5−-cyclohexane/5+-cyclohexane) and one oxidation-reduction environment indicator (alkyl-cyclohexane/alkyl-cyclopentane). Multiple petroleum charging events were proposed as an explanation for the maturity indicators indexes discrepancy between methyl-phenanthrene index (MPI) and methyl-adamantane index (MDI). In addition, the stable isotopic results show that condensates from the Paleogene have significantly higher positive δ13C values of individual n-alkanes than the Neogene samples. Based on δD values, the samples can be divided into two groups, the differences between which are likely to be attributed to different biosynthetic precursors. Variation within each group can likely be attributed to vaporization. This study was sponsored by the National Science and Technology Major Project of China (Nos. 2016ZX05024-002-003, 2016ZX05027-001-005). The final publication is available at Springer via https://doi.org/10.1007/s12583-018-1001-3.